YOU DEMANDED IT and now the surprise hit critics call "one of the scariest movies of all time"* can be experienced in the most terrifying place of all...your home. Before I bought this movie all I heard about it is how scary it is. So I figured I would set myself up right going into it. I closed all the blinds... turned off the lights getting it nice and dark in the room and then started the movie. I really wasn't sure if I should go with the theatrical version of the unrated version with the alternate ending. Since the alternate ending was available separately as well I decided to go with the Theatrical version and then afterward I would watch the alternate ending. After watching the movie I will say I liked it... quite a bit in fact. Scary? Not surprisingly it didn't scare me at all. Maybe a slight chill in one or 2 scenes... possibly 1 or 2 jump scenes... but actual scares... not at all. But as I have said before... I haven't been scared by a horror movie in many... MANY years. But even so... I enjoyed the movie. After watching both endings... I can't decide which ending I prefer. Both versions had their good points. Any time I watch this again I will have trouble deciding which version I will want to watch. Go on IMDb and read about the original festival ending - I wish I could see that one! Sounds like they left the best ending off the DVD! I'm curious Pete, which films are there that you would say have genuinely scared you? As far as I can remember... I never really been scared by a movie... at least not since I was a kid. Trying to remember back. Maybe The Exorcist the first time I saw it as a kid. But it don't have the same effect on me now. For some reason movies just don't seem to scare me. The very first horror movie I ever seen was The Shining with Jack Nicholson. And even then I remembered a nice adrenaline rush (not sure if from the movie or because I wasn't supposed to be up watching cable tv in the middle of the night) That was back when I was about 11 years old. From director David Fincher (Fight Club) comes the psychological thriller about two detectives on the trail of "John Doe," a serial killer who chooses his victims according to the seven deadly sins. This is only the second time I ever watched this movie. not sure why I waited so many years to watch this one again. It is a right good movie. I enjoyed it. I really liked Morgan Freeman in the movie... though I never been much of a fan of Brad Pitt. So that could be part of the reason why I haven't watched it in so long. Beyond that... it is a good story. The DVD release is very good... with lots of extras. It is definitely a movie/release I would recommend. It's comedy that's out of its mind (and the drunk-driving test is really, really hard!). Director Carl Reiner and star Steve Martin put their manic brains together in The Man with Two Brains, spoofing mad-scientist movies with a madder scientist: Dr. Hfuhruhurr (Martin), smitten with a disembodied brain he plans to implant into a curvaceous vixen (Kathleen Turner). Going into this movie I really couldn't remember if I had seen it before. It is hard to remember all the movies you seen almost 30 years ago. After getting part way through it I realized I never seen the movie before. Unfortunately I didn't care much for this one. It may have had a laugh or two... but it was just a little too silly for my taste. I saw The Man With Two Brains back in 1983 when it first hit theatres. I remember liking it...though I don't think I've seen it since and it has been just over 25 years since then. I think this may have been the first film I ever saw Kathleen Turner in. Yes, it was silly but that was Steve's thing back then. I've seen most of his films but My Blue Heaven is one that I never did see. Mixed Nuts is another. If nothing scares you, I would say horror films have ruined you. It's best to give them up now...or at least take a year's hiatus from them! NOOOOOOO!!!!!! Now that scases me! 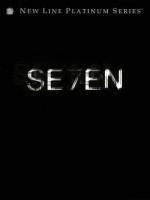 ...I watched Seven recently Pete, I agree its a very good movie, I was surprised. I think the only film that ever got to me was Jaws. After seeing it I still got the willies even going into Lake Ontario's fresh water! Sorry Pete...that shark music has to get to even you. There is music in Jaws? I must have tuned it out. After seeing it I still got the willies even going into Lake Ontario's fresh water! Eric Roberts (Academy Award® Nominee Best Actor in a supporting role Runaway Train 1985, National Security, TV's "Less than Perfect"), Phillip Rhee, Christopher Penn (Starsky and Hutch, Reservoir Dogs), John Dye and David Agresta play five young men who are selected as members of the U.S. National Karate Team. Each teammate has his own reason for competing. However, they soon discover that in order to function as a team they must put aside their differences and learn to depend upon each other. James Earl Jones (Academy Award® Nominee Best Actor The Great White Hope 1970, Field of Dreams, Hunt for Red October), is their unorthodox coach, and Sally Kirkland (Anna, The Sting, The Way We Were, A Star is Born), their trainer, teach them that winning is not a sometime thing – it's an all-time thing. Together they enter an exhausting training period that puts their mental and physical skills to the ultimate endurance test. After three months of grueling workouts and personal conflicts thet are ready to face the highly skilled Korean team and become true champions. In an unexpected and climactic ending these men come to understand what it takes to be the BEST OF THE BEST. I felt like something a little different... some martial arts. So I grabbed this one out of the collection I got from mom. I kinda have mixed feelings on this one. For the most part I enjoyed it.Though it was a bit slow at times. In this one they decided to go with the feel good ending over the exciting action-packed ending. A bold move for a martial arts movie... not sure which I prefer... but it was a nice change of pace. It is worth watching... but don't go into it expecting an action-packed martial arts movie.